Measuring care coordination in administrative data facilitates important research to improve care quality. To compare shared patient networks constructed from administrative claims data across multiple payers. Social network analysis of pooled cross sections of physicians treating prevalent colorectal cancer patients between 2003 and 2013. Surgeons, medical oncologists, and radiation oncologists identified from North Carolina Central Cancer Registry data linked to Medicare claims (N = 1735) and private insurance claims (N = 1321). Provider-level measures included the number of patients treated, the number of providers with whom they share patients (by specialty), the extent of patient sharing with each specialty, and network centrality. Network-level measures included the number of providers and shared patients, the density of shared-patient relationships among providers, and the size and composition of clusters of providers with a high level of patient sharing. For 24.5% of providers, total patient volume rank differed by at least one quintile group between payers. 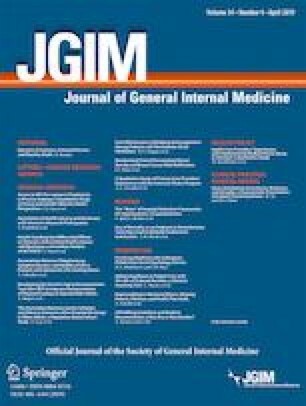 Medicare claims missed 14.6% of all shared patient relationships between providers, but captured a greater number of patient-sharing relationships per provider compared with the private insurance database, even after controlling for the total number of patients (27.242 vs 26.044, p < 0.001). Providers in the private network shared a higher fraction of patients with other providers (0.226 vs 0.127, p < 0.001) compared to the Medicare network. Clustering coefficients for providers, weighted betweenness, and eigenvector centrality varied greatly across payers. Network differences led to some clusters of providers that existed in the combined network not being detected in Medicare alone. Many features of shared patient networks constructed from a single-payer database differed from similar networks constructed from other payers’ data. Depending on a study’s goals, shortcomings of single-payer networks should be considered when using claims data to draw conclusions about provider behavior. The online version of this article ( https://doi.org/10.1007/s11606-019-04978-9) contains supplementary material, which is available to authorized users. This study was supported by the Cancer Information and Population Health Resource (CIPHR), UNC Lineberger Comprehensive Cancer Center, with funding provided by the University Cancer Research Fund (UCRF) via the State of North Carolina. JGT, PJM, AMM, and KBS conceptualized the work and led the design and interpretation of the data. AMM led the acquisition of the data. SS, WHW, and TMK led the analysis of the data. All authors drafted and revised the manuscript, approved the final draft for submission, and agree to be accountable for all aspects of the work.